Whether you are a pro at applying makeup or just use the simplest eye makeup application, there are a few guidelines to applying eye makeup properly. Find out how your savvy you are when it comes to dolling up your baby blues, gorgeous greens, or beautiful browns in this quiz! Curl lashes before applying mascara. 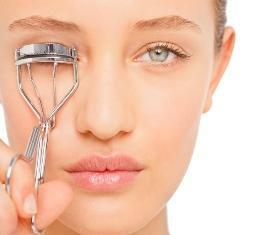 Heat the eye lash curler for 15 seconds with a blow dryer. Wipe the curler pad with alcohol before each use.